This 5 ingredient restaurant-style Bread Dipping Oil is made from olive oil, dried parsley, freshly cracked pepper, salt and chili flakes. Nothing to fancy and you don’t even need too crush garlic! Pair this dipping oil with focaccia, a baguette or a loaf of your choice. It makes a great appetizer! 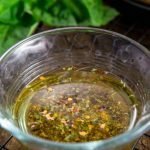 This Bread Dipping Oil is super easy to make and if you’re making homemade focaccia then make this DIP! My husband loves it with focaccia and has even tried dipping baked donuts in this oil when there was no focaccia (that didn’t work well but you probably get my point)–it’s good, just pair it with the right bread. If you like olive oil bread dips this is one to try and it consists of simple ingredients. You don’t even have to make this dip ahead of time in order to serve but if you want the flavors to marry together by all means make it ahead but it works wonderfully without the wait. A great way to boost bread up serve as a side to an entree or alone with bread for an appetizer. 1. Mix all the ingredients together in a dipping bowl. Serve with hot focaccia bread or baguette of choice. 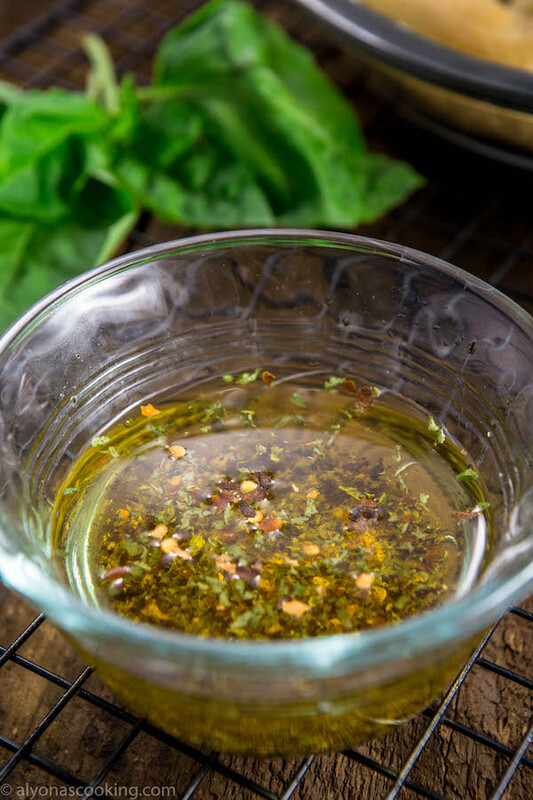 This 5 ingredient restaurant-style dipping oil is made from olive oil, dried parsley, freshly cracked pepper, salt and chili flakes. Nothing to fancy and you don't even need too crush garlic! 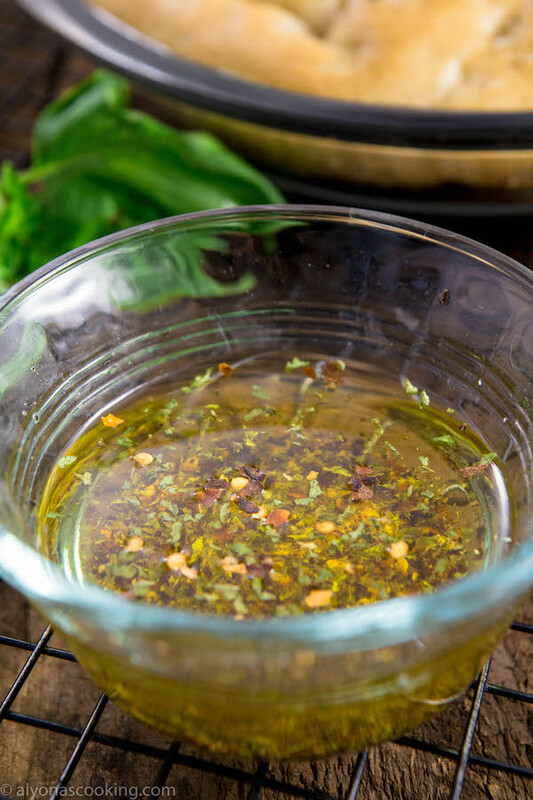 Pair this dipping oil with focaccia, a baguette or a loaf of your choice. It makes a great appetizer! Mix all the ingredients together in a dipping bowl. Serve with hot focaccia bread or baguette of choice. This is my greatest, olive oil dip that Ihave ever had; it goes so well with the focaccia bread! !